Captain America versus Iron Man; Batman versus Superman; Daredevil versus Punisher. It’s not just the movies and TV shows. 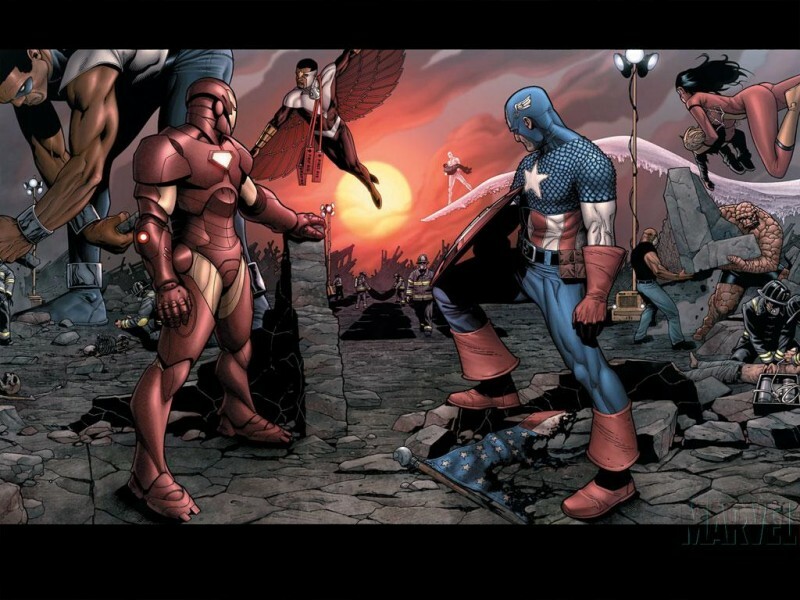 Marvel Comics’ big event comic book of this summer will be Civil War II, a reprise of the series that began the modern trend of heroes versus heroes, and still is one of Marvel’s most successful event series in recent time. At the moment, it seems like the biggest opponent of superheroes is other superheroes. So why is this? How did we get to the point where the most compelling stories to tell are about heroes versus heroes? There are numerous reasons why the moment is so full of heroes versus heroes. Truthfully, the particular coalescing of three movie/TV shows pitting heroes versus heroes is a little happenstance. Batman Versus Superman: Dawn of Justice appears to be inspired by – if not actually based on – Frank Miller’s 1986 graphic novel The Dark Knight Returns. Daredevil and The Punisher have had numerous run-ins since The Punisher’s creation in 1974, but that is sort of the point of the Frank Castle. 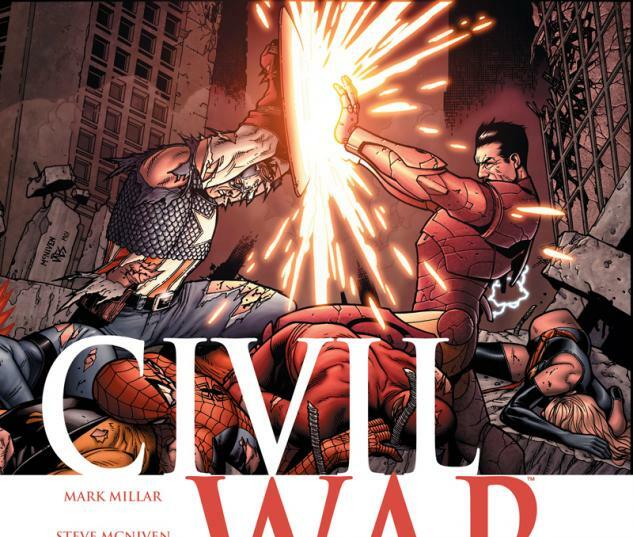 Captain America: Civil War looks to be somewhat based on the comic Civil War, which is the most recent source inspiration, having been published in 2006, but is still almost a decade old. So the sources of these adaptations aren't new comic books. 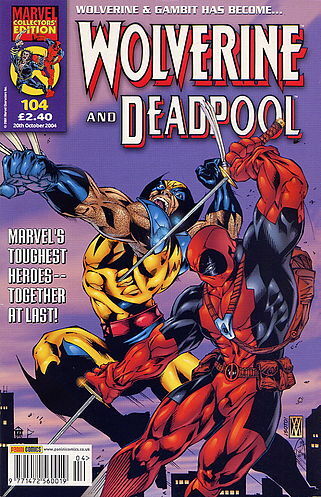 On the other hand, Marvel and DC Comics have increasingly pitted heroes versus heroes in recent times. Some of this is due to the rise of the anti-hero over the last thirty years. Characters like Wolverine, The Punisher, Lobo and Deadpool have attitude to spare and usually do the right thing but often in the wrong way. The morally-gray characters were popular with fans and sometimes made straight heroic characters like Captain America and Superman seemed old-fashioned. Consequently, the companies have tried to make all of their characters more modern, with human frailty and moral ambiguity, as opposed to the “hero is always right” representation. This has led to characters disagreeing with each other on manners big and small. Superhero comics usually handle conflict through violence, so these superhero disputes usually end up in fighting. This also feeds into fan desires, as fans have always debated which hero could beat which. The rise of Internet forums (where comic book creators are sometimes participants) gives a large voice to the heroes versus hero ideology, making publishers bet on the superhero versus superhero stories. Comic books are also often at their best when they work as real-world allegories (think how often X-Men and mutants stories have been discussed as depicting prejudice). Marvel Comics explicitly was trying for this during Civil War, as might be clear from the title. Marvel pointed out in press releases and interviews at the time that the United States had increasingly become fractured politically and in government. At the time, in the aftermath of the 9/11 terrorist attacks, there was a widespread debate about the importance of liberty versus security. These are heady and intriguing issues to incorporate into a comic book, and Marvel got a lot of mileage of it, even though Civil War’s conclusion didn’t really have anything revelatory to say about the real world, instead using the apparent death of Captain America to make headlines. There are real problems that excessive hero versus hero stories can cause, though. One of the major issues that many fans had with Civil War (and I will say I agree here) is that the hero versus hero conflict trumped individual character portrayal. Frequently during Civil War, a number of characters acted very unlike their established history, in order to fit the series narrative and themes. If you really think about it, too, it’s hard to sympathize with superheroes who will violently fight against friends and former teammates. It really makes them all look like sociopaths (Alan Moore nods his head). Finally, perhaps the biggest issue with pitting heroes against heroes is that it sidelines the “villains.” All of the upcoming movie and TV properties pitting heroes against heroes have found ways to also involve major villains. If the source comics are an indication, though, the roles of the villains will be secondary. That’s unfortunate because Marvel and DC have a great array of villainous characters. It could be argued that these characters have not really gotten their due lately. 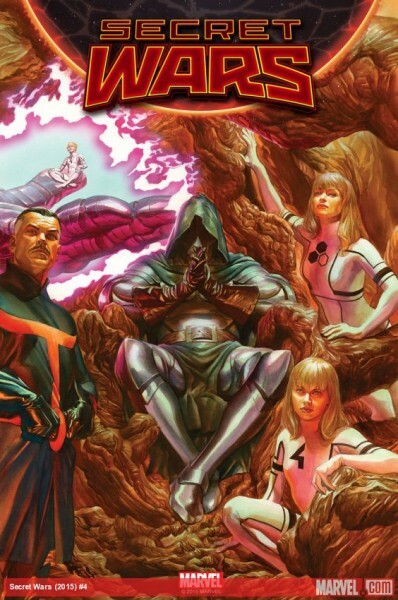 One of the most interesting portrays of a villain lately was Dr. Doom in Jonathan Hickman’s Secret Wars, though he was actually being mostly heroic by saving the universe through assuming power and anointing himself a god. That would align him closer to the anti-hero archetype discussed earlier. Obviously, mustache-twirling evil doers and dumb henchmen is an out-of-date mode. Modern televisions shows like The Sopranos and Breaking Bad, though, show us that bad guys CAN be compelling. So can comic books put superheroes, even with their modern sensibilities and debatable ethics, at the center of the series while also establishing a compelling and engaging villain? They can, though it’s certainly not easy. There is a reason why those shows mentioned are so heralded – they are doing something that most TV fails to do. So comics with superheroes fighting other superheroes are not necessarily bad, but they are a trend that can become tired, and I feel we are reaching a saturation point there. What was once novel is no longer fresh. Creators in both comics and visual mediums should think about ways to show hero conflict that doesn’t erupt in all-out war. Additionally, if there are also clever and three-dimensional villains involved, it’s the basis for an interesting story that will not require an overused hero vs. hero formula.